Classic arcade series Bomberman is set to return on Nintendo Switch in a new installment named Super Bomberman R. But what does that R stand for? Even developer Konami seems a little unsure. Responding to fans on the official Bomberman , a Konami spokesperson gave not one, not two, but three possible suggestions for the R’s meaning. 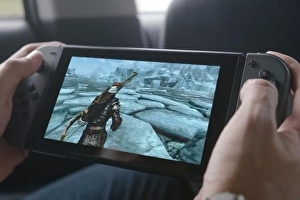 Nintendo’s new, portable brainchild, the Switch, was unveiled at the tail-end of last year and went up for pre-order last month. In the days that followed, it quickly fell ‘out of stock’ at most retailers’ websites. Early impressions suggested that the Neon console sold out first, in case you were wondering. Retailers such as GAME kept pre-orders available but with the caveat that stock wasn’t guaranteed to arrive at launch. 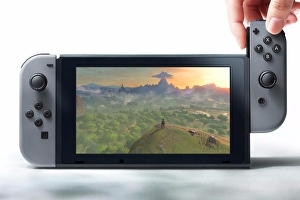 All that has changed, though, since Nintendo UK has added a new batch of stock available to pre-order right now on its own website, as well as at a handful of selected retailers. This means that if you initially missed out on securing a pre-order for either version of the Nintendo Switch, you can head over to Nintendo’s UK site and put a pre-order down, which Nintendo assures us will be guaranteed for launch – at least until further notice. Since I pride myself on being the sporting type, I’ll let my opponent go first. In this video you’ll find four reasons why Ian decided against preordering the Nintendo Switch. Right, my turn. Maybe it’s because I was raised playing Nintendo games, but I think there’s a lot to be excited about when it comes to the Nintendo Switch. Allow me to convince you. Events will be held in Birmingham, Manchester and London over the next three weekends. Zelda: Breath of the Wild, Splatoon 2, Mario Kart 8 Deluxe, Arms, 1-2 Switch and Snipperclips will all be available to try. Sumo Digital, the veteran developer behind the console ports of OutRun 2 as well as the Sonic & All-Stars Racing Transformed series, is bringing its first independent game to Nintendo’s Switch. 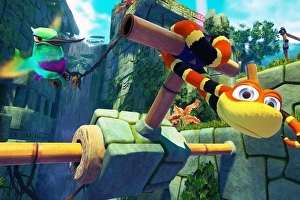 Snake Pass is a puzzle platformer with a unique approach to movement that sees you slithering your way through levels, and it’s the result of Sumo Digital’s first internal game jam. Its creator, Seb Liese, was working on Crackdown 3, which is being developed with the help of Sumo Digital, and had previously worked on the studio’s LittleBigPlanet 3. Snake Pass is due out on Xbox One, PC and PS4 early this year, and the Switch version will be launching alongside them. Work on the Switch version has only been underway for a month, but progress is coming along nicely. 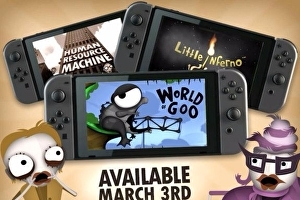 Splendid satirist group Tomorrow Corporation will be releasing its entire library on Nintendo Switch upon the console’s 3rd March launch. This includes , and . has a touchscreen – but you’d be forgiven for not realising. Now, we’ve seen it in action. Yep, it’s a touchscreen. 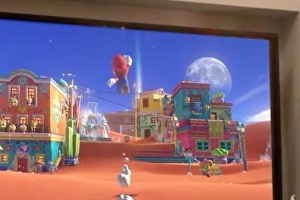 What’s more interesting, perhaps, is why Nintendo has so far shied away from showing it. Nintendo Switch has come in for some stick for having just five games available when it launches on 3rd March. Well, make it six. 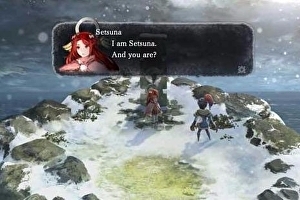 Square Enix has confirmed Japanese role-playing game I Am Satsuma has joined the Switch launch lineup – it’s also out on 3rd March for Nintendo Switch in Europe. Snipperclips could be a surprise hit for Nintendo Switch. 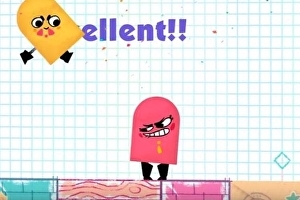 Tom said the cutesy puzzle game was “utterly charming” when he played it at a Switch event – even declared Snipperclips the “unsung hero” of the day. Now Nintendo has released a lump of Snipperclips gameplay footage via Nintendo Treehouse, showing two people picking up and figuring out the game as you or I would (Snipperclips supports up to four players). Snipperclips revolves around two shapes banging into each other to cut each other into certain shapes. The game has a brightly coloured sketchbook look, and the shapes have simple but expressive faces and tiny little stickperson legs. They’re adorable. I set my alarm for 6am on Friday the 13th of January because I’d heard that was the time Amazon would be kicking off its online preorders for the Nintendo Switch. The alarm went off and I preordered the base unit with no issues, but then everything got a little bit confusing. 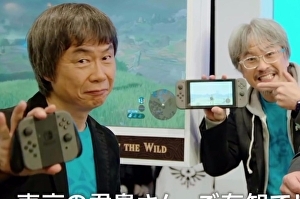 Did the included grip charge the Joycon or didn’t it? Was I really going to have to fork out £60 for a Pro Controller? Breath of the Wild costs HOW MUCH?! 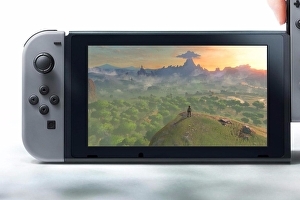 It’s always a little daunting when a new console comes out, but in the case of the Switch there have been quite a few mixed and muddled messages about the prices and peripherals. In order to help make sense of things, we’ve crammed as many concrete facts about the Switch as possible into one video. This way you should have a better understanding of what you’ll be getting for your cash, come March, if you decided to purchase one.